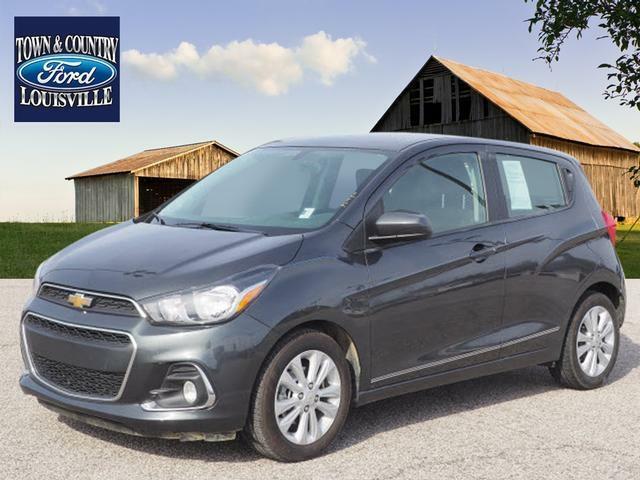 The Chevrolet Spark is the smallest and least-expensive car in the Chevy lineup.. Bringing you deals day in and day out. Learning that you purchased a wrecked car is no FUN. Reading the CarFax History before you buy is FUN, so we took the liberty of pulling it for you! CarFax says has had only one previous owner, is accident free and comes with a CarFax Buy Back Guarantee. What a deal! A low 8,919 gently-driven miles! Does this deal seem too good to be true? It's just our everyday low prices! Fill-up for less with this EPA estimated 33 MPG combined car. Features include: rear view camera, convenient keyless entry, satellite radio ready, anti-theft system and Bluetooth enabled.